The best thing about that photo, as far as I am concerned, is that ‘Director’ is blurry. 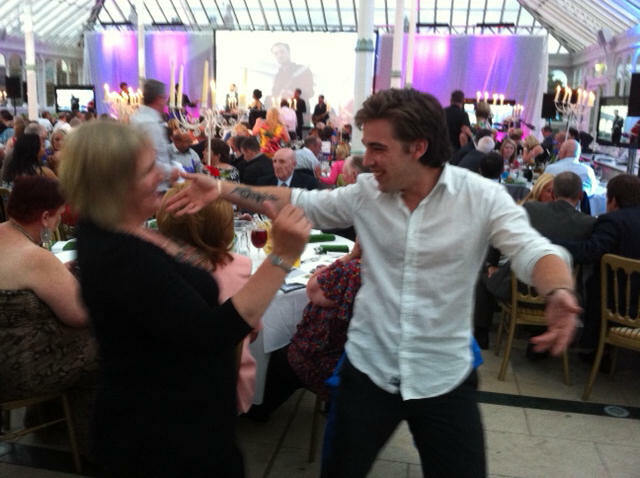 Seriously though, our silver-tongued marketing assistant charmed me with ‘Blimey Jane, you dance like something from the 1970’s…’ (I am from the 1970’s, I told him, but all the same had to ask him to teach me a few more 2011 moves…. ) BTW – there others dancing, it wasn’t just Niall and me – you just can’t see any of them in the pic. Lovely evening! Great venue – Fabulous band – they were called something like the Great Function Band – brilliant strong female vocalist.